When they say "big trees", they mean big trees. 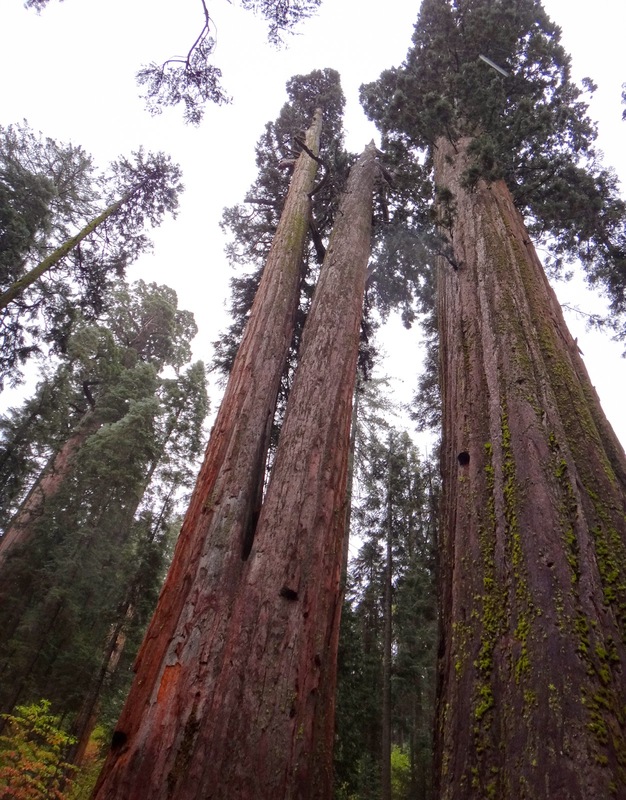 BIG trees. 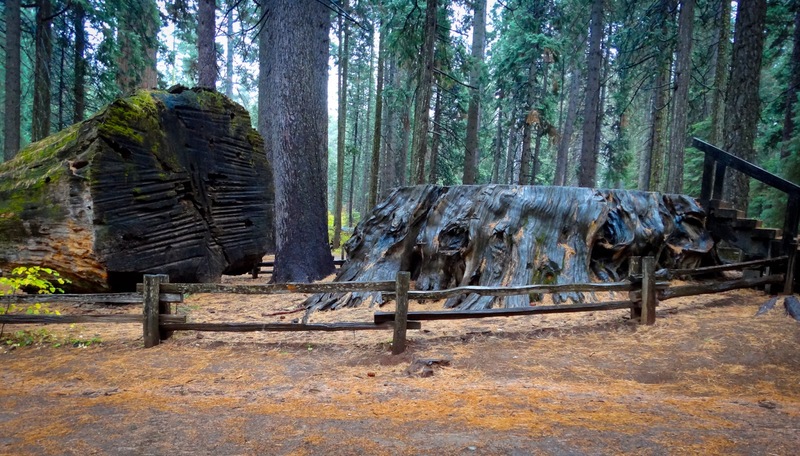 This was the first big, sequoia tree found by a man who was hunting on his own. 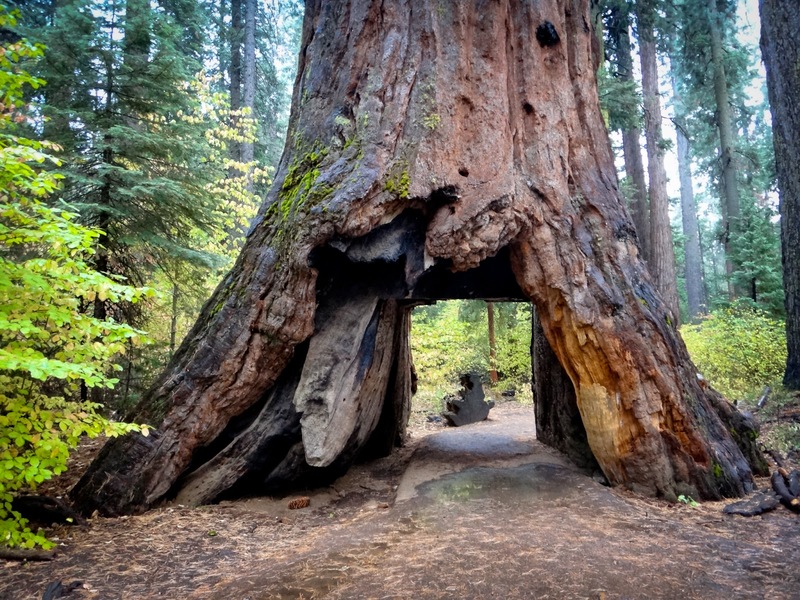 His friends didn't believe his story about giant trees so he had to lead them back to the tree prove his tall tale was for real. Sadly, the first thing people thought they needed to do to such a tall tree was cut it down. 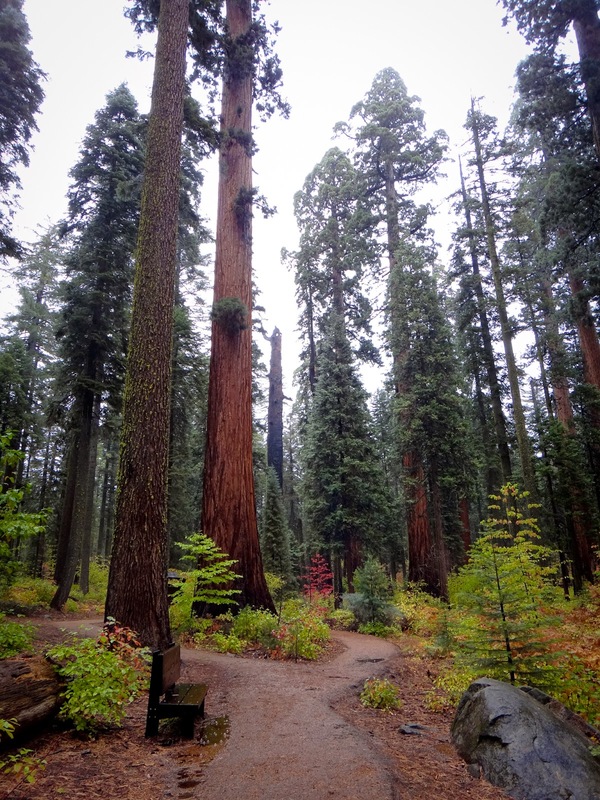 What's amazing to me about this picture is the "regular" sized trees hanging around the feet of the giant sequoias. That joint where these twin trees are joined is already fifty feet high. These trees touch the rain clouds. So Amazing! Thanks for taking and sharing these!